Rev. Sharon Kachel is an interfaith minister who serves to raise the vibration. 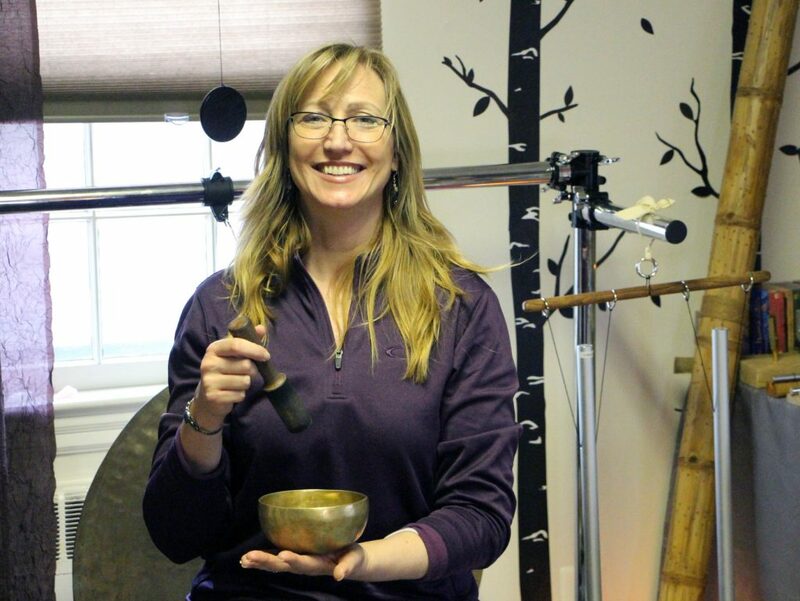 With the help of Crystal & Metal bowls, Gongs, Chimes, Tibetan bells and a vast array of tuning forks, she opens people up (relaxes their body/mind) so that they can easily receive the healing that they seek. 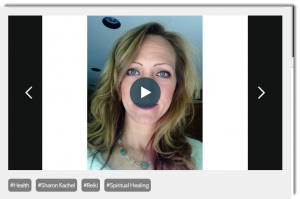 With the use of Angelic Reiki, she channels the love and wisdom of God to help us heal. Compassion is tangible and here for all to receive. You don’t need to be broken, you can always feel better! New beginnings open our “higher potential ever after”, bringing us to new heights. This is how the healing takes place…. The frequency is lifted, the dross falls away, and we are better equipped to meditate and receive healing from God. Yoga is so much more than a clever way to stretch. There are many benefits. It’s a great way to strengthen, lengthen and balance. It’s a perfect way to mediate. It’s a wonderful way to emotionally and mentally support yourself. When we add the sound of soft bells, bowls and tuning forks; it’s a blissful experience. And add the reiki…the magic of love and wisdom, and you are mindfully moving in a positive direction with all the love and support from Heaven and Earth. The reason behind my choosing Tibetan bells, bowls and chimes is that the sound clears our mind and helps us to stay sharp. The sound keeps our full concentration on devotional purpose. This is not like getting high to forget, quite the opposite. These bells are made in such a way that they produce sound that creates a unity in the right and left sides of the brain. The moment we ring the bell, it produces a sharp and enduring sound which lasts for a minimum of seven seconds in echo mode. The duration of echo is great enough to activate all the Chakra centers in the body resulting in releasing negative thoughts. This is a great way to be present, blissful, clear, calm and choosing well. Enhancing our state of love is the reason. Tuning forks provide an instantaneous state of relaxation. The way I use them around the head, creates a centered state along with instantaneous meditation. When I use them on the chakras, everyone becomes calm and peaceful. For private sessions, I use them all along the gallbladder meridian to release as much stress and detoxify as much as possible safely. This improves mental clarity and brain functioning. This increases the level of physical energy and mental concentration. This relieves stress by drawing our bodies into a centered space. This brings the nervous system into balance. 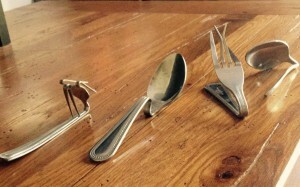 This integrates left and right brain thought patterns. Using the tuning forks on the chakra centers and meridians, sends impulses to the nerve centers and organs, which stimulates greater health and well-being. 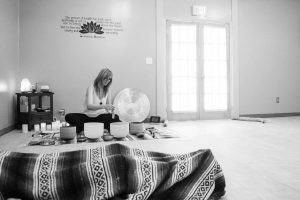 Sound Healing enhances meditation, dream work, massage, yoga and any sensual activity. Be sure to download my CD for private meditation and private endeavors. Listen to me on BlogTalk Radio. My work is mainly focused on creating a better quality of life using reiki through my tuning forks. I have found higher and higher frequency tools. Solfeggio frequencies, 111Hz, Angel Tuners, and pineal gland specific tools are some of my favorites. I also created a CD using oneness meditation music layered with a delay. I overlay my bells, tuning forks and speak a guided piece with affirmations to assist us in our process as well. I use the CD during my meditations and yoga classes. I partner with my fabulous friend Andrea Davidson for the yoga classes. It combines the music, reiki, tuning forks, meditation, chanting, and yoga. They are incredibly relaxing and healing. Then I joined Sam Haines and Eric Labaz to create my second CD project where you will find 4 songs. The first is a guided meditation with the ocean waves during Full Moon in Capricorn. The second song is my sound healing layered twice for an effect much like the ocean waves to relieve stress and tension. The third song is a Native American theme due to Eric Labaz playing drum and Native American Flutes paired with my sound healing from the second song. The third song is beautifully done thanks to Sam Haines playing cello, one of my favorite instruments, paired with the second song. Sam orchestrated the whole thing professionally and Eric did the graphics flawlessly. I help people raise their frequency so they are better equipped to receive healing. Healing our lives, as they are always able to improve and add more. New beginnings open us to our higher potential. We make all things new as we go, step by step. Receiving a higher frequency helps us to appreciate and enjoy our lives as they are already. We can actually shift into a greater focus and momentum, as the law of attraction suggests. Coaching comes natural to me because I have learned deep respect for people, including myself. I have learned this by the love and assistance of my Angels and team that surrounds me. They have coached me well. The Angels never leave me in despair. We have come a long way. I am always improving and entering new beginnings of more and more. They make me excited to live. They touch my heart and nourish my soul. They connect with me on every level. They taught me to trust them. Then they taught me to trust myself. Then they taught me to trust others. And give me the strength to walk away, when it’s best for me. Now I blend it all together. It is harmony in action. It is trial and feeling it out. It becomes skill. Like an orchestra conducted by the great conductor, except we are an actual team with Spirit. Life is such a beautiful process of new beginnings opening us to our higher potential ever after, bringing us to new heights.